Since the weather has been nice in Indianapolis and throughout central Indiana, masses of people have used the Monon Trail as a form of exercise and transportation. Recently, the Monon Trail has become so popular and widely-used that the Cities of Indianapolis and Carmel have constructed a number of major improvements to improve the trail’s usability. For example, a new bridge was just constructed on the Monon Trail over 146th Street connecting Carmel and Westfield, Indiana. The money that has been put into the bridge is a clear indicator of the importance that Hoosiers place on cycling and utilization of the Monon Trail. With increased traffic on trails like the Monon, reports of serious injuries have increased over recent years. The accidents on the Monon Trail are caused by countless different combinations; bike vs. bike, bike vs. pedestrian, pedestrian vs. roller blader, and bike vs. motor vehicle at places where the Monon Trail intersects public roadways are all examples of common forms of crashes on the Monon Trail. Some of the injuries people sustain on the Monon may be minor, such as scrapes and small bruises, while others can be severe, including broken bones, fractures, and major head injuries. Wear a Helmet. It is vitally important to wear a helmet at all times while on your bicycle, but we recommend you never fail to wear a helmet at all times on the Monon Trail. While you may be a safe rider, the person traveling behind you out of control at 20 mph might not be – and that’s your head for the rest of your life. Protect it. Exit the Trail if You Must Stop. A lot of different things can happen on the Monon that would require you to take a quick stop: exhaustion, bike chain issues, or stopping to chat with somebody you know. Make sure if any of these things happen that you step to the side of the trail so that Monon traffic can continue to flow at its natural pace. Use the Left Lane to Pass. On the Monon Trail, different people travel at all different rates of speed. Make sure that you are on the right side of the trail unless attempting to pass someone – then, use the left lane (as long as no one is coming from the opposite direction!). Follow the Rules of the Monon Trail. Check for the signs posted along the trail. Often times, there will be special instructions when certain projects or events are occurring along the trail. Ride No More than Two Abreast. Do your best to use no more than half the trail at any given time. Riding any more than two abreast can cause serious congestion, making the Monon Trail even more dangerous. Share the Road. Just like we ask all motorists to share the road, all cyclists should share the trail with everyone else so that all people can enjoy themselves. If you have been injured by another person on the Monon Trail, be sure to get that person’s contact information and call for a police report if possible. The personal injury bicycle lawyers at Caress Law Group specialize in representing victims of bicycle accidents and victims of those who sustain injuries on the Monon Trail. You have a right to be safe on the Monon Trail, and we tirelessly advocate to enforce those rights. If you or a loved one has been injured on the Monon Trail or anywhere else, please contact the attorneys at Caress Law Group at 317-255-5400 or lance@caresslaw.com. We would be honored and privileged to assist you and all initial consultations are free and easy. 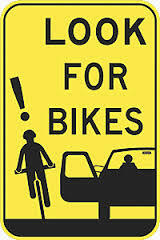 Another Indiana cyclist fell victim to a fatal bicycle accident in Lafayette, Indiana on May 14, 2013. The victim, Rodney Smith, was riding his bike south on North Ninth Street, near Davis Ferry Park, when he was struck by a Nissan SUV. 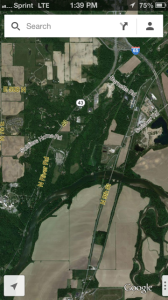 According to the Tippecanoe County Sheriff’s Office, the driver of the Nissan is suspected to be Gregorio Felipe, who, according to witnesses, stepped out of his car, walked over to Rodney Smith, and then got back in his vehicle and fled the scene. This is an area near the banks of the Wabash River, where many cyclists ride daily when the weather is nice. Unfortunately, the bicycle injuries sustained by Rodney Smith were too severe, and he eventually died from the bike collision. This unfortunate news comes at a time when West Lafayette, Indiana is in the initial phase of establishing the increasingly popular “3 foot rule.” This local ordinance requires motorists to leave at least 3 feet, or 36 inches, of space when passing a bicyclist on a roadway. Other Indiana cities, including Indianapolis, South Bend, and Fort Wayne, have recently adopted this rule in hopes that it will decrease bicycle accidents along local streets. The Indiana Bicycle Lawyers at Caress Law Group applaud the City of West Lafayette in passing this ordinance, which will go to its final vote on June 3, 2013. Often times, college towns have very heavy bicycle traffic; as a result, with many Purdue students biking to and from class, West Lafayette is the perfect place for the “3 foot rule” ordinance to be adopted. Caress Law Group’s Indiana Bicycle Accident Lawyers are saddened to report the death of a fellow bicyclist in Mr. Rodney Smith. As we like to emphasize to motorists: please be careful when driving and be sure to check your mirrors before turning. We are optimistic that new progress in Indiana bicycle rule-making, like the “3 foot rule,” will prevent sad news like this from occurring frequently in the future. Please know that if you are a loved one has been killed or injured in a bicycle accident at Purdue University or anywhere else in Indiana, our practice is dedicated to resolving these matters for your family. Please Contact Us; we look forward to assisting you. Recently, as Indiana has grown to become more bicycle-friendly and as more Hoosier cyclists have started to use their bikes for transportation, there has been an increase in complaints from motor vehicle drivers and pedestrians regarding the behavior and of bicyclists. Such rebel cyclists have come to be known as “rogue cyclists.” News articles and complaints have been appearing in the Indianapolis Star and other news outlets with pleas for local law enforcement to step up its game and issue more tickets for cycling violations. These calls for reform are not without merit; many people who operate bicycles, particularly in the City of Indianapolis and surrounding suburbs, do not understand their duties and responsibilities on public streets in Indiana. The Indiana Bicycle Accident Lawyers at Caress Law Group hope that we can educate readers on this issue and hopefully save a bicycle accident or citation from occurring. Indiana law provides us with the following statute, “A person riding a bicycle upon a roadway has all the rights and duties under this article that are applicable to a person who drives a vehicle.” Indiana Code 9-21-11-2. While there are a few exceptions that apply, it is important to note that not only do cyclists have the same rights as automobiles, but also the same DUTIES. What does this mean? This means that if you are riding a bicycle on a public thoroughfare, you are required to stop at stop signs, yield where yield signs are present, and stop at red lights. Essentially, all the rules of the road still apply to you even though you are on your bike. If you do not follow the rules of the road in Indiana, you are a rogue cyclist, which makes you subject to traffic violations and tickets from law enforcement officials, who plan to more harshly enforce the law on rogue cyclists this upcoming summer season. Just recently, the Indiana Court of Appeals touched on rogue cyclists when it issued its opinion in Komyatti v. the City of Indianapolis. In this case, Paul Komyatti was operating his bicycle and was intoxicated while riding on the wrong side of the street when he hit a pothole, causing him to be thrown from his bike and sustain serious injuries. Komyatti argued that the City of Indianapolis and Citizens Energy were at fault because it was their duty to repair such potholes. The Court found that the cyclist did not have a valid claim against the City of Indianapolis and Citizens Energy because his actions (as a rogue cyclist) caused the bicycle crash and resulting injuries – not the pothole. The Indiana Bicycle Lawyers at Caress Law Group promote bicycling in Indiana; however, cyclists must follow the rules of the road to remain safe. If you are a rogue cyclist and get in a bicycle accident that may not have been your fault, there is still a chance that a jury would find you to be comparatively negligent or at fault, decreasing the resources available to you to cover your resulting medical bills, lost wages, and any pain and suffering you go through. For this reason, we advise all Indiana bicyclists to remain as safe as possible on the road while also enjoying all the cycling opportunities our community has to offer. Caress Law Group’s bicycle accidents lawyers in Indianapolis take great pride in representing Indiana bicyclists who have been injured in a bicycle accident or collision. Our goal is always to get you or a loved one back on your feet and out biking again. A major part of our service to the community comes in the form of advocating for bicycle rules and programs that will benefit cyclists while also keeping our community safe. Feel free to call us if we can be of any help at 317-255-5400 or e-mail us at lance@caresslaw.com. All consultations are free and confidential. Ride safe! The Indiana personal injury bicycle accident lawyers at Caress Law Group are experienced in helping when you or a loved one has suffered serious or deadly injuries in a bicycl e accident. You or your loved one may be entitled to compensation related to your physical injuries, emotional trauma, loss of earnings, and any relationship damage that may have been caused by the bike accident. the condition of the roadway or trail (potholes, construction sites, etc.). Sadly and unfortunately, one of the most common types of injuries resulting from a bicycle accident is a head injury. This is because, often, cyclists are thrown over their handlebars and have little control over the way they land. Of course, all Indiana bicycle riders can help prevent head injuries by wearing helmets. Head injuries can come in the form of bumps, scrapes, gashes, or even fractures of the skull, leading to a greater probability of a resulting brain injury. Brain injuries are another common effect of a bike accident. You can suffer a somewhat minor brain injury like a concussion or the brain injury could span all the way to a very serious traumatic brain injury. A traumatic brain injury can equate to devastating results, like loss of memory, decreased bodily function, or even permanent disabilities. Again, brain damage is more probable to occur in cases where the cyclist is not wearing a helmet or there is a high rate of speed and carelessnes involved. Caress Law Group’s personal injury bicycle accident attorneys have seen these brain injuries last a lifetime, so we ask that you wear a helmet while riding. Spinal cord injuries. Because of the nature of exposure when we ride bikes, spinal cord injuries can result when a bicycle crash victim lands on his or her back, neck, or head with the proper amount of force. This can lead to vertebrae fractures or even paralysis. Facial injuries. Common facial injuries resulting from bike accidents include the loss or damage of an eye, broken jaw, broken nose, chipped teeth, and extreme scarring that can last a lifetime depending on the severity. Broken bones and fractures. The legs, arms, shoulder, back, neck, hip, and almost any other bone in the body could be at risk of suffering a fracture. Multiple bone breaks are not uncommon and could lead to extensive treatment, rehab, and recovery. Our Indianapolis bicycle attorneys have even seen the loss of arms and legs stemming from similar kinds of accidents. Death. With no barrier or protection between you and a motorist or an object such as a tree, street, or building, the chance of suffering fatal injuries is possible. When someone you love has been the victim of wrongful death such as this, Caress Law Group may be able to help. To get a better understanding of the value of your bicycle injury claim, please contact Caress Law Group at any time. We know the damages that you are entitled to that the insurance companies may not want you to find out about; including past medical bills, future medical bills, loss of enjoyment of life, psychiatric injuries, loss of wages, and spousal loss of consortium. Our Indiana bike lawyers make it our goal to get you compensated so that you are put in the same situation you were in prior to the negligence that caused you to sustain these injuries. 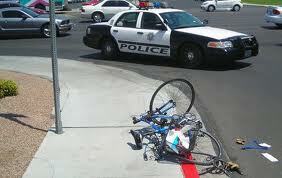 At Caress Law Group, we take great pride in assisting injured Indiana bicycle users in their time of need. Because of this, we have seen a wide array of injuries ranging from minimal and temporary to severe and permanent. Please ride safe, and when you are behind the wheel of a car, be sure to check your mirrors for pedestrians and cyclists. Feel free to call us for a free consultation at 317-341-5555 or e-mail us at lance@caresslaw.com. We look forward using our expertise in this area of Indiana law to assist you with your injury and getting you back on your feet. Surly Bikes, a popular and reliable designer of all sorts of bicycle parts, has recently had its Pugsley Bicycle Forks recalled after tests determined that the fork could bend above the disc brake mount, resulting in a serious fall hazard to the rider. Surly advises all consumers of this bike fork to immediately stop using any bicycle that is equipped with this specific Surly bicycle fork. The consumer should then contact any Surly dealer for a free inspection and replacement for a full refund. These products, manufactured by Aprebic Industry Co. Ltd. out of Taiwan, are either 100 mm or 135 mm, are made of tubular chromoly steel, and come in black, yellow, or red. Before the U.S. Consumer Product Safety Commission recalled these bicycle forks, there were approximately 1,000 that have been sold to the public either individually or pre-installed on Surly Pugsley bicycles. The positive news surrounding this product recall is that no bicycle injuries have yet been reported to the U.S. Consumer Product Safety Commission. The personal injury bicycle accident lawyers at Caress Law Group advise all Indiana cyclists to stay as up-to-date as possible on bicycle product recalls like this one. Dangerous products can lead to devastating results and injuries, particularly when operating your bike at a high rate of speed. We will continue to do our best to keep Hoosier bicycle users aware of these recalls. Aside from recalled products, try to keep a close eye on all your bicycle gear and equipment, including tire pressure, helmet fit, and strength of your brakes in order to avoid being involved in an bicycle crash. The Indiana Bicycle Lawyers have over 20 years of experience in representing injured victims of automobile accidents, personal injury accidents, and medical malpractice. Over the years, we have taken great pride in representing injured cyclists, mainly due to being avid bikers ourselves. If you or a loved one has been hurt or injured in a bicycle crash in Indiana or have sustained any other sort of injury, our personal injury lawyers would be honored and privileged to assist you. Feel free to call at 317-255-5400 or e-mail us at lance@caresslaw.com. We look forward to keeping you updated on all things bicycle-related through our Indiana Bicycle Law Blog. The personal injury bicycle lawyers at Caress Law Group are excited to be volunteer hosting the bicycle parking table for IndyCog this Saturday, May 11th for IndyCog’s bicycle event outside the City Market: 2 Wheels, 1 City. Whether a bicyclist or not, this event should be a great time for anyone. The weather is looking to be comfortably warm, bands will be on display, and there will be plenty of activities taking place. Additionally, the Indianapolis Cultural Trail will be celebrating its kick-off event entitled “Get Down On It!” To add to that, the Indiana Pacers will host the New York Knicks in Game 3 at 8 p.m. downtown at Banker’s Life Fieldhouse. If you are a resident of greater Indianapolis, you will want to be downtown this Saturday for all the exciting events. Our bicycle attorneys recommend that you ride your bike to the downtown area if possible. Be sure to allow us to park your bicycle free of charge while you soak in all the downtown has to offer on May 11th. We will be hosting our table right outside of the City Market and will have our bicycle parking banner hanging over our area. Caress Law Group’s Indiana Bicycle Lawyers are honored to be working with IndyCog on this event, and we hope to see you all downtown for a day dedicated to celebrating the City of Indianapolis’ efforts in making our city and state bicycle-friendly and accessible! The Indiana Bicycle Lawyers at Caress Law Group continue to take great pride in serving the Indiana community by advocating for cyclist rights and by representing injured victims of bike accidents in Indianapolis and the rest of Indiana. A very important part of our mission includes being vocal about bicycle safety. As we all know, cyclists are in a much different situation when riding on the road than motorists, as motorists are surrounded by steel and other metal parts. Bicycle riders are completely, wholly, 100% exposed, and while it is important for a motor vehicle operator to be safe and to wear his or her seatbelt, it is even more important that a biker take all necessary precautions possible when setting out for a ride. Is Wearing A Helmet While Cycling A Law In Indiana? 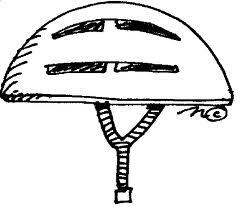 We are often asked by Indiana bicyclists questions concerning the legality of wearing a helmet while cycling in Indiana. “Does Indiana law require wearing a helmet while riding a bike?” The answer is simple, but our input doesn’t stop there. The answer is no: Indiana law does not require that cyclists wear a helmet while riding. What this means is you cannot be issued a traffic ticket or cited for any type of violation in the State of Indiana for not wearing a helmet. Now that we are past that question, let’s proceed to more important, obvious question. Should Indiana Bicycle Users Wear A Helmet? Our Indiana bicycle injury lawyers cannot emphasize enough how important it is to wear a helmet each and every time you get on a bike. Just because it is not necessary by law to wear a helmet does not mean that you should refrain from wearing one. It’s also not necessary by law to breathe or drink water throughout the course of the day, but we highly recommend it! There is no downside to wearing a helmet while riding a bicycle in Indiana, whereas failing to use a helmet can lead to devastating results. You may tell yourself that you’re just going for a short ride and everything will be fine, but this doesn’t stop the careless driver who happens to be driving behind you who is simultaneously texting his friend from operating his vehicle into you. Keep in mind that some of the worst bicycle injuries are sustained when cyclists are riding short distances because they don’t find it necessary to wear a helmet. The numbers are staggering. According to the Bicycle Helmet Safety Institute, 91% of bicyclists killed in 2009 reportedly were not wearing helmets. Additionally, studies have linked helmet use to reduce the risk of head injury by 85%. As Hoosiers, we all have long-term goals that we want to make sure we live out. The Indianapolis bicycle accident attorneys encourage all people in Indiana to take advantage of the wide range of trails and paths our community has provided for us, but at the same time, please wear a helmet. And if your loved ones are biking and not wearing a helmet, make sure they are aware how much safer their ride will be if they wear a helmet. If you have any comments or questions about Indiana bicycle laws or if you or a loved one has been injured while riding a bicycle in Indiana, please contact Caress Law Group’s Indiana Bicycle Lawyers at 317-255-5400 or by email at Lance@CaressLaw.com. It would be an honor and privilege to assist you or a loved one in your time of need. We understand this can be a very difficult time, which is why we dedicate a major part of our law practice to representing injured victims of bicycle accidents in Indiana. Across the country, many cities and states dedicate the month of May to bikes, and Indiana is no different. Festivities will begin immediately on May 1st when BGI hosts its Bike Month Kick-Off Event at its 82nd Street store. Some of Indianapolis’ most recognized bicycle groups and advocates will be present for an evening filled with information, connections, and entertainment. The event is free, food and beverages will be provided, and lasts from 5:30-7:30 p.m.
Bike Month in Indiana picks up steam on Saturday, May 11th when IndyCog will host its annual “2 Wheels 1 City” event downtown at the City Market from 11 a.m. to 6 p.m. This event is a rare chance for all levels of cyclists to come together at one spot for food, entertainment, conversation, and true celebration in honor of the City of Indianapolis embracing and welcoming cyclists by providing numerous trails, paths, and events. Caress Law Group’s Indiana Bicycle Lawyers will be present at this event, and we will host the bicycle parking table. IndyCog offers secured parking for all those who travel to 2 Wheels 1 City by way of bicycle, and we are proud to support IndyCog with this aspect of the event. Also occurring at the same time as 2 Wheel 1 City will be the Indianapolis Cultural Trail’s kick-off event “Get Down On It!” The streets of downtown Indianapolis are sure to be vibrant and full of cyclists on May 11th! Our Indianapolis bicycle accident lawyers also encourage all Hoosiers to participate in Bike to Work Day on May 17th. This is a great way to switch up the pace of your usual routine by taking a new route to work using your bike. 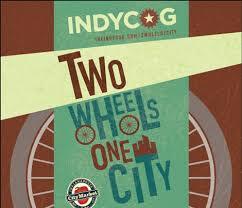 If you work downtown, IndyCog will again offer secure parking and entertainment at the City Market and the Bike Hub. As you can see, there are plenty of bicycle-centered events taking place in central Indiana during May, so make sure you celebrate and enjoy the time with your friends and family. 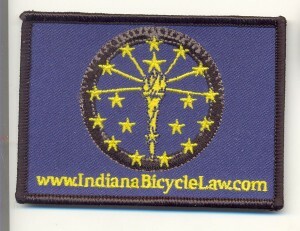 Any cyclists aiming to look a little slicker at any of these bike events are encouraged to request a free Indiana flag sticker or patch for the Indiana Bicycle Lawyers of Caress Law Group. We will also be handing these out at the 2 Wheels 1 City event at our bicycle parking table, so be sure to tell your friends. Enjoy the month of May – Indiana Bike Month!